As a food blogger, I spend a lot of time creating and testing recipes, I really wish I could say they all tasted amazing on the first try, but I would be lying, Sometimes I have to re-work a dish to get it the way that I really envisioned. This chowder was a perfect example of a dish that was almost there, but not quite right, When I made it for the first time, I added too much broth and the chowder looked like, well, a watery, creamy soup. The taste was great so I knew I wasn't far off, but I definitely needed to use less broth to give it the chunky, bold texture that's expected from a chowder. 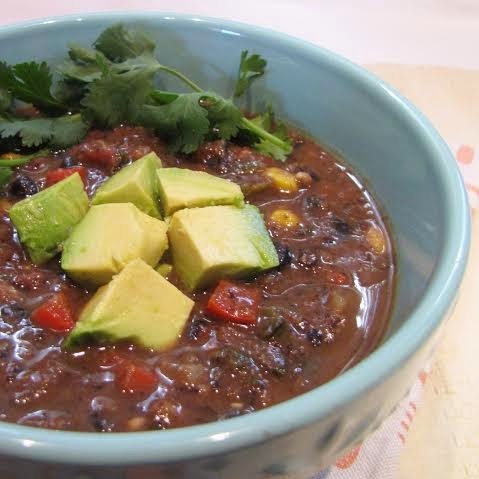 4 cups of cooked black beans (about 1 3/4 cups of dried ones), *click How to cook beans for the method on how to cook them. In a large pot, heat up the olive oil under medium-high heat. Add the onions and garlic, and cook 3-4 minutes until softened. Add the red pepper, the pasilla pepper, and the jalapeno, and cook for another 5 minutes. 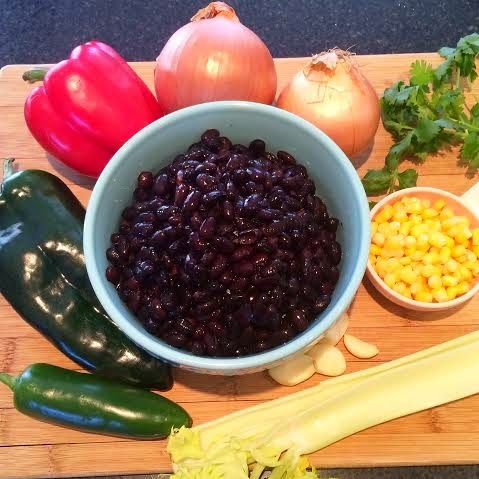 Add the corn, the tomatoes, the cooked black beans, the veggie broth, the cumin, the oregano, and the cayenne pepper. Bring to a boil and then reduce the heat to medium-low, and simmer for 20 minutes. Put 3 cups of the soup in a blender (broth and veggies), and give it a few pulses, until you get a chunky pureed mixture. Add the puree back into the soup pot, along with the lime juice and the cilantro. Season with sea salt and pepper, serve warm.